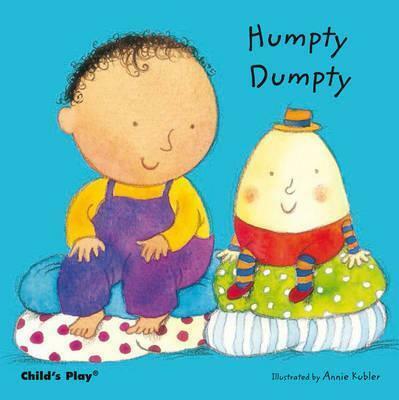 The Humpty Dumpty nursery rhyme is a children's rhyme which has a long history of being sung to a simple tune. No-one is sure how old Humpty Dumpty is but it is generally thought to have been around for many hundreds, perhaps even thousands, of years. The problem is that nursery rhymes were passed down orally from parents to their children for many, many years before anyone thought to write them down and this makes it very hard to work out exactly how old they are, where they originated or the original wording that was used. 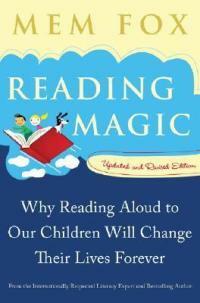 And, of course, it's often hard to work out what they really mean or whether they're just nonsense rhymes. Over the years, new variations of the most famous nursery rhymes appeared, making it even harder to trace the rhymes back to their origins or work out what they mean. This is certainly the case with Humpty Dumpty. People have been trying to work out what the rhyme means for hundreds of years and there's still no real consensus among scholars about it. Scroll down to read more about the origins and about the meanings which have been attributed to the Humpty Dumpty nursery rhyme over the years. If you aren't familiar with the tune, you may find this youTube clip helpful. 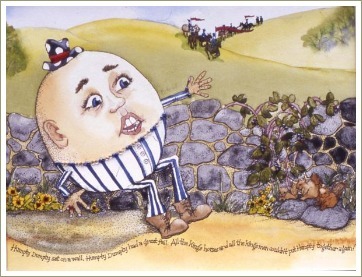 Iona and Peter Opie, in their wonderful book The Oxford Dictionary of Nursery Rhymes, note that nursery rhymes were often riddles and that it's possible that Humpty Dumpty was also originally a riddle. The rhyme does not explicitly state that Humpty Dumpty is an egg and perhaps this was the point of the original riddle: to guess what Humpty Dumpty was. 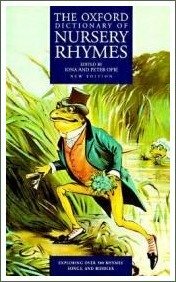 According to the Opies, students of linguistics believe the rhyme is so old that its age 'is to be measured in thousands of years, or rather it is so great that it cannot be measured at all' (p.252). It does not appear in early riddle books but it is thought that this might be because it was already too well-known for authors to bother with. We do know that the term Humpty Dumpty was given to a boiled ale-and-brandy drink from the end of the seventeenth century. Was the rhyme already so old and so well-known by then that the drink was named for the rhyme? The earliest reference to Humpty Dumpty as a comical character appears in the caption to an engraving in a book published sometime between 1754 and 1764. Part of the caption reads: 'Sir Humpty Dumpty fierce as Turk, At Captain Doodle runs his fork.' Does this make it more likely that Humpty Dumpty was originally a real person? The information about these three theories comes from The Oxford Dictionary of Nursery Rhymes. 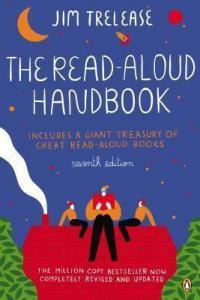 The first two are simply theories, based on guess-work and a knowledge of English history and linguistics. The third idea was put forward by Professor David Daube, a professor of ancient law who wrote a series of spoof nursery rhyme histories for The Oxford Magazine in the 1950s. The idea was adopted by many people as the truth and has since been widely discussed as the true story behind the Humpty Dumpty nursery rhyme. Despite this, the idea is just an idea with no evidence to support it. The girls' game is thought to pre-date the rhyme and many people believe it may be where the rhyme originated. Opie, I. & P. (1997). The Oxford Dictionary of Nursery Rhymes.